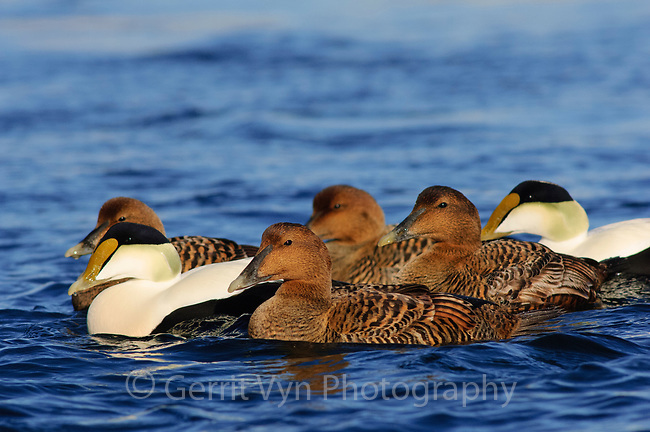 Group of adult female and male Common Eiders (Somateria mollissima) of the eastern subspecies S. m. dresseri. Gloucester, Massachusettes. March.